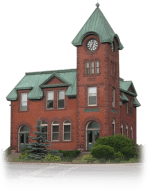 The drug and alcohol problems that face the people of New Brunswick include addicts who are caught up in the legal system and are in a continuous cycle of crime and addiction. Drug treatment centers normally work with drug courts when a person is convicted and must attend drug treatment, but what happens if a person has been charged with a drug crime. The first step is to contact a drug charges lawyer, or a lawyer who is familiar with the Controlled Drugs and Substances Act, and provide qualified legal counsel for someone in the position. Within the province of New Brunswick and some different drug rehab centers, but there are also numerous law firms that employ lawyers qualified to defend a person who has been charged with a drug-related crime. This can be a difficult situation to face for a family and an addict, and there will be significant stress involved, especially if the addict does not know what to do, or has not contacted a lawyer. Regardless of who does it, the family or the addict should contact a lawyer right away when someone has been charged with a drug-related offence. How should an addict handle these situations? Any lawyer or legal counsel will advise the client not to speak with the police and only speak to a lawyer if they are being charged with a drug-related offence. The law firms within the province can help a client through this difficult situation. Drug charges can be quite severe, whether there are charges that involve trafficking, importing or exporting controlled substances, or making or producing drugs. Depending on the charge, if convicted, a person can face some lengthy jail time. When a person is charged with a drug-related offence, they will have an opportunity to show cause as to why they should be released from holding before the trial. A drug charges lawyer can help a person develop this release plan, to not be locked up until the trial begins. Many courts require some insurance, meaning being told there is a person who will watch over the offender until his or her trial, and to also ensure the offender does not commit any other crimes. It is normally required by the court that the offender live with this individual, as this may be the only way, they will be released before they go to trial. Criminal defense lawyers or drug charges lawyers can help a client work all this out, and navigate these problems. The information below will help you on how to find drug charges lawyers in New Brunswick. The list could be incomplete, so if you have any questions, please don't hesitate to contact us at 1-877-254-3348.